Throughout Europe there is a considerable number of fires reported each year, resulting in the loss of many lives. The amount of damage to environment and to property is colossal, with re-instatement work on non-domestic property often costing hundreds of millions of ecu. Add to this the cost of business interruption and increased insurance premiums and the imperative of lessening the risk of fire, and for good emergency planning, through education and research becomes obvious. Engineers. 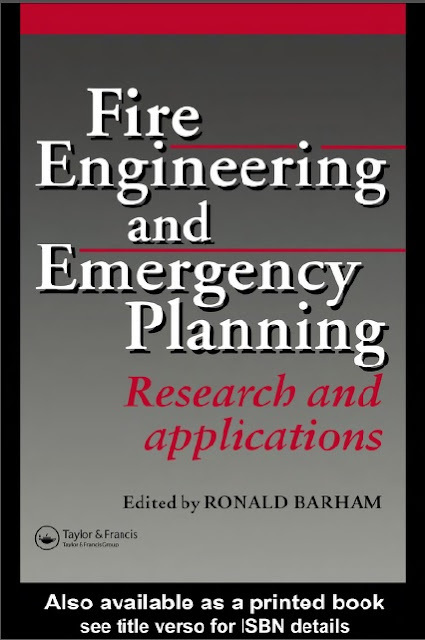 The intended purpose is to make a start on “bridging the gap” between the various sectors of the European fire community, to promulgate state of the art applications and to flag up new areas and trends in research and practice. 52. Airborne hazards: move or stay put?